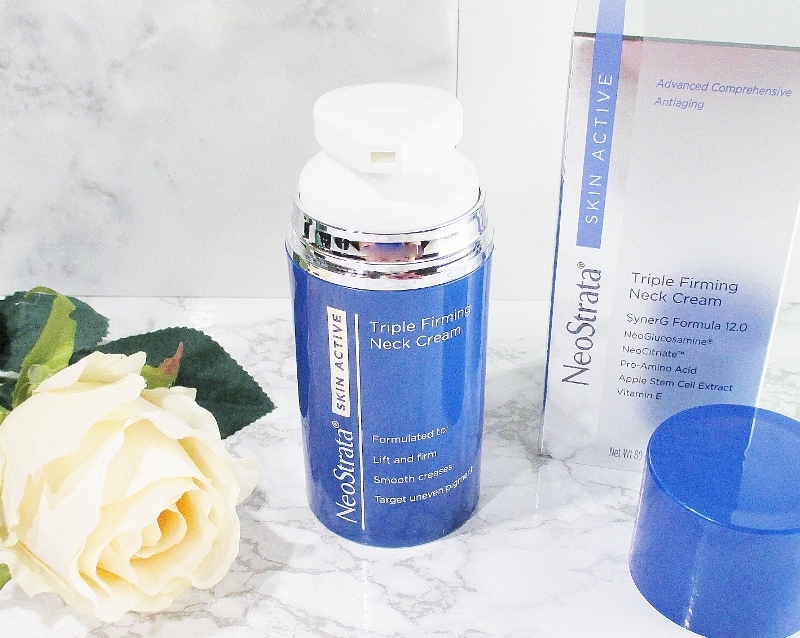 NeoStrata, a leader in science and results based skin care brings us Skin Active Triple Firming Neck Cream. This moisturizer doesn't have an SPF so don't forget to apply a good sunscreen before going outside. Packaged in a sleek, vacuum pump topped plastic jar is a white, softly fresh scented cream. This lightweight, non greasy cream spreads easily across the skin and sinks in quickly to hydrate and firm. I have very dry skin and I like to use this as a "treatment" step then top it with a richer cream to more deeply moisturize. If you are not as dry as I am, this cream should provide exactly what your skin needs. After application, I can feel the firming effect and over time, my neck is maintaining a smoother appearance. So I can say that yes, it works for me. If you would like to try this lovely neck cream, you can purchase it from NeoStrata and Derm Store. 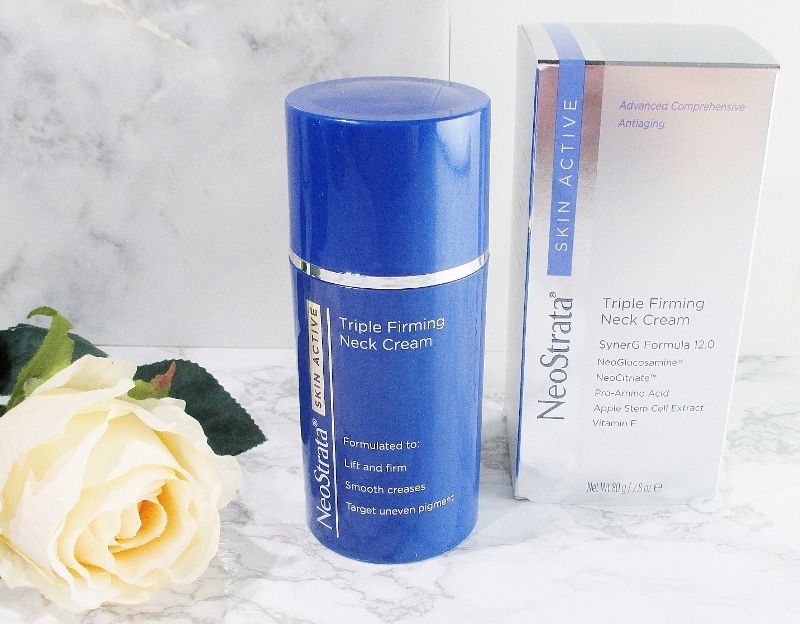 Have you tried Neo Strata Triple Firming Neck Cream? Nice to hear what you thought of this neck cream. This definitely sounds with trying! I am so glad to hear that it is working for you! I like this neck cream (tho I still love my favorite a little more). I think I thought it was hydrating enough, but I was using it during warmer weather. Nevertheless, I am intrigued by your idea of using it as a neck serum. This is nice. I'm starting to notice my neck and décolletage in need of a little care. I appreciate learning about this cream! I think a neck cream needs to be non-greasy so that's a big point in its favor. I need to go smell it at Ulta. Sounds good. I love the packaging; pump bottles are so much more hygienic than pots! This sounds like such a great option! I love that Exuviance/Neostrata package a lot of their products in pumps. So much more hygienic! This sounds beautiful! You can always tell when someone has had "work" because they usually forget their neck. Their face looks 20 and their neck looks 70!